Just ahead of the European trade show trio, Zeiss has lifted the veil on their newest zoom lens project – The 21-100mm T2.9-3.9 LWZ.3. 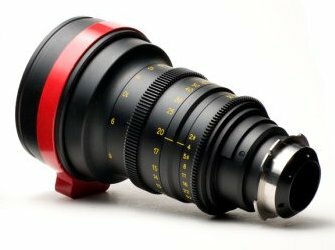 A Super 35 format, 4.7x cinema zoom lens weighing in at a mere four and a half pounds. We’ve got the scoop on Zeiss’ newest light weight zoom lens. Arri has provided a really simple, comprehensive diagram of the three different iris rod standards. It seems like there has been a lot of confusion about the proper distance from the axis of the lens to the center of the rods. A few basic details to go through here: The height of the rods (the distance from the lens axis to the center of the rods) is critical as a standard when designing accessories such as matte boxes, follow focuses, low bridges, or just about any lens related accessory. In this post, I’ll discuss the relationship between the different iris rods (15mm LWS, 15mm, and 19mm) and their associated low bridges. The smallest and newest system to be utilized for motion picture work and as of recent, possibly the most common. The 15mm Lightweight system (LWS) is a variation of the 15mm Studio setup with roots began in ENG and DV setups. With the introduction of the DSLR revolution and tiny camera rigs such as the Blackmagic Pocket Camera and in some cases even a simple GoPro, the 15mm Lightweight system has carved it’s own place into the motion picture world commonly found on medium sized rigs such as RED and Sony cameras. The 15mm LWS is aligned to the center of the lens mount, with a relatively narrow spacing (60mm) and a fairly shallow axis to rod height (85mm). If there was an “old school” rod setup, 15mm Studio would be it. 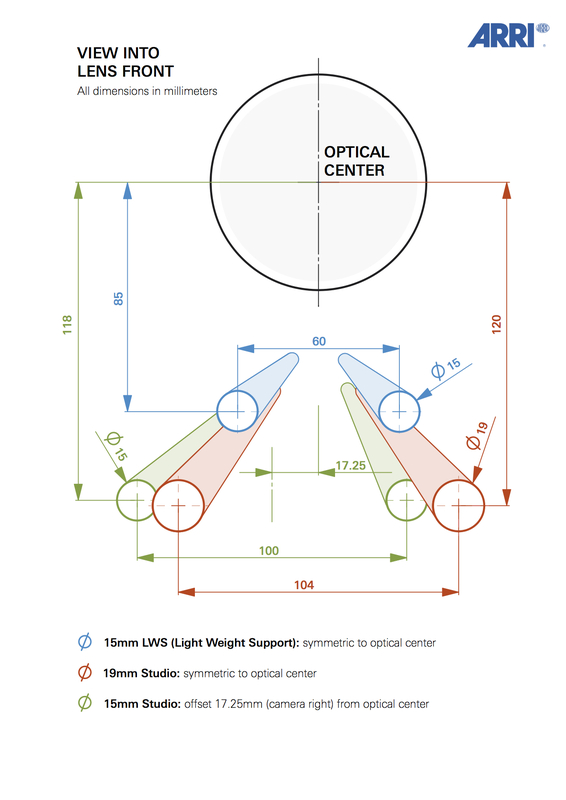 15mm Studio rods are the same rods as 15mm LWS but spaced farther apart (100mm), farther from the lens axis (118mm), and slightly offset from the optical center (17.25mm). Don’t get me wrong, 15mm Studio is probably the most common among high-end cinema sets based on the West Coast despite it’s age. The 15mm Studio system has become somewhat overlooked in terms of standardization with all the newcomers to the motion picture camera accessory manufacturing game assuming that the rods were aligned to the optical center. As far as I know, the reason for the offset of 15mm Studio rods was originally to compensate for weight and accessory distribution. The camera had additional weight on the “smart” side due to the viewfinder and controls so accessories such as the follow focus or motors were attached to the “dumb” side to balance out the setup. I’ll admit, the 15mm Studio standard is far older than me or anyone reading this and I’m no motion picture historian… If your 15mm Studio rods aren’t offset, then they’re not 15mm Studio. If you’re anywhere other than Hollywood, you’ll likely find 19mm rods used as the standard. 19mm Studio is the updated version of 15mm Studio. As lenses and lens accessories became heavier and heavier, the need for stronger rods came about paving the way for a slightly heavier duty system. The 19mm Studio setup is spaced even farther apart than 15mm Studio (104mm), and slightly more distant from the optical axis (120mm) but is centered on the lens. The purpose of the 19mm system was to increase the load capacity when used with heavy lenses and reduce flexing. Traditionally, stainless steel is king. These days you’ll find dozens of different companies producing “rods” from aluminum and carbon fiber which is fine for more 15mm LWS rigs where weight is critical and the stress put on the rods is minimal. Aluminum and carbon fiber may even be suitable for some 15mm Studio setups if they’re not demanding, but if you’re rig requires the wider offset of 15mm Studio rods, then you’re probably not worrying about the overall weight of your camera rig and should opt for a stainless steel variant. The same can be said for 19mm Studio – if you’re going to go with the beefier 19mm setup, don’t cheap out and use flimsy aluminum or carbon fiber. If you’re on the fence between 15mm Studio and 19mm Studio, there’s always 15mm HD rods. No, not High Definition… Heavy Duty. This would be a 15mm rod with a wall thickness double that of the normal 15mm rods. This provides a much more solid support with little to no flex even with a hefty Angenieux or Fujinon zoom. Iris rods will come in all sorts of lengths these days depending on their application. A heavyweight cinema zoom will call for 24″ rods whereas a DSLR rig may only require a few inches simply to attach a follow focus to the front of the rig or a battery to the back. A simple pair of carbon fiber rods. Carbon fiber rods are usually hollow with end caps to keep dirt and dust out, but can also be found in a sturdier solid carbon fiber material. The confusion comes in mostly when companies design and sell products that don’t conform to an industry standard. For example, a simple google search for a 15mm matte box will yield results from around the world with little to no mention of what system a given matte box is actually designed for. I’ve seen matte boxes advertised with 15mm rod holes but 19mm Studio spacing or 15mm LWS spacing but with 15mm Studio height. Some with fully adjustable offset and height, others with absolutely no height adjustment. I guess you just have to hope your camera plate has a height adjustment… Matte boxes are the primary source of confusion with the other most common accessory, the follow focus and/or motors not being much of a concern. This is because most follow focus systems will have a slide or pivot adjustment to accommodate different size lenses minimizing the standardization to simply rod size and spacing, disregarding offset and height. 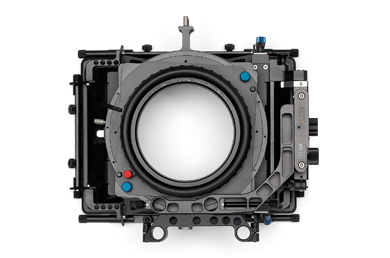 Arri MB-20 II Matte box sample: Note the top pair of 15mm holes (15mm LWS) is centered on the optical center whereas the lower pair (15mm Studio) is clearly offset from the center. Also note the height difference. Additionally, the height has been a topic of confusion in the recent past. Lets use the Red 300mm prime for example. Originally it came with a built in support, a bright red ring towards the front of the lens with a simple 1/4-20 (I think) threaded hole. If I remember correctly, there wasn’t any standardized height. You either had to use an arbitrarily adjustable, standard-less low bridge or stack bunch of washers just to attach the lens securely. It wasn’t designed for 15mm LWS or 15mm Studio. It was just a big red block with a hole in the bottom. It’s possible that Red intended the 300mm to be used with the 15mm LWS standard, but since when is a 300mm, one foot long, 6 lb. prime lens considered lightweight?!?! While we’re on the topic of height; the other critical spec, the same chaos experienced with matte boxes can also be found in low bridges. The low bridge is the key to lens support. A lens can have a support post with standardized height and a nice 3/8-16 thread but it’s useless without a proper low bridge. A proper low bridge will be somewhat forgiving in terms of standardization with minor adjustments for height and offset, but not so much that the industry standards can be completely overlooked. With the 15mm Studio and 19mm Studio standard, a proper low bridge is easy to come by. Because of all the confusion with proper heights and standards when 15mm LWS was adopted for motion picture rigs, you’ll find that there are many 15mm LWS low bridges with a fully adjustable height. This makes them pretty useful but sometimes sloppy depending on the brand. A proper 15mm Studio low bridge with adjustable height and offset. I hope this clears up some of the confusion surrounding iris rods and lens accessories. Anytime someone asks me what brands I recommend for a matte box, follow focus, or low bridge, I generally stick to a single rule which is stick with the established brands. A company that has been manufacturing motion picture accessories for a good decade or so will know what they’re doing and will obey the standards making life easier for all of us. Of course, there’s an exception to every rule and in this case, it’s usually budget. If you can’t afford a high quality accessory, make due with what you can, but you’ll probably end up getting the higher quality product in the end so you might as well start with proper gear.